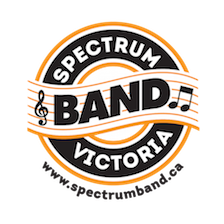 Spectrum Band Uniforms - Sound. Appearance. Precision. Senior Band – the uniform consist of black blazer and pants, white dress shirt, orange necktie and black band shoes. Junior Band – the uniform consist of green sweater, white dress shirt, yellow tie, black pants and black band shoes. Sr. Jazz Band – the uniform consist of blue vest, Windsor tie, white dress shirt, black pants, and black band shoes. Jr. Jazz Band – the uniform consist of red vest, Windsor tie, white dress shirt, black pants, and black band shoes. Marching Band – this uniform is the same as the Senior Concert Band and is issued to all band members. Other Ensembles - as dictated by the band director. *All band students must provide their own white dress shirt & LONG black socks to be worn with ALL uniforms. High quality dress shirts are available for purchase from the Band Parents Association for $20 each. *All uniforms will be collected and cleaned by the Band Parents Association at the end of the school year. Each band member retains the same uniform during the school year, unless it is necessary to change to a different size. The blazers/jacket, pants, vests, and ties ARE NOT TO BE WASHED OR ALTERED IN ANY WAY. Wash and press the dress shirt only. If you have a uniform concern during the year, please contact Bonnie McCallum (bonnmccl @ yahoo .ca). CLICK HERE TO DOWNLOAD A RENTAL AGREEMENT FORM.